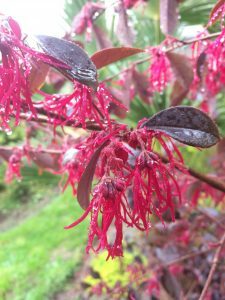 Large growing cold hardy shrub/tree that we love for its deep purple/black foliage and masses of true red fringe flowers in spring. Fast growing shrub to 8′ x 6′ in 7 years. The flowers that appear en masse in spring occur sporadically at any time of the year. As far as we can tell this is the darkest foliage on a very cold hardy shrub. Loropetalums are somewhat tender when young but gain complete hardiness in a season or two. Loses some leaves in exposed locations below about 10ºF. Makes a great small tree in (a long) time. Very graceful the way the pointed leaves alternate on the arching stems. 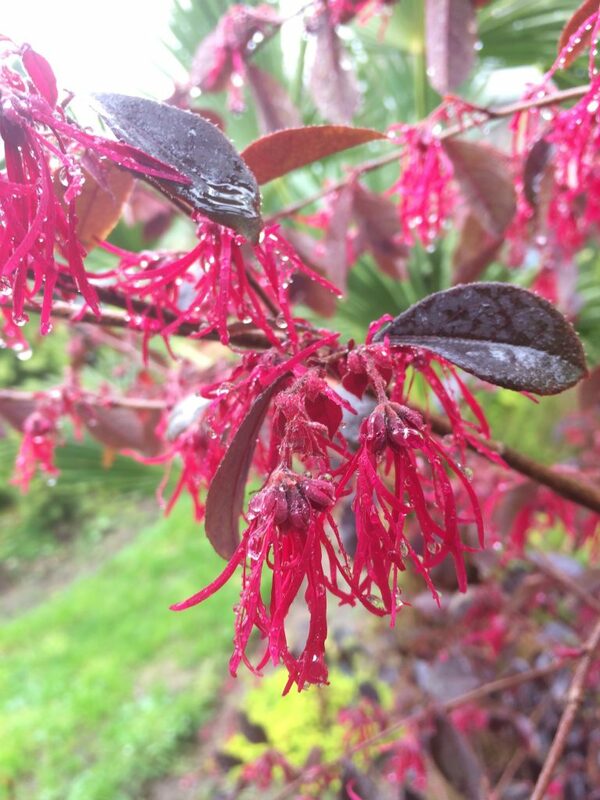 Worth growing for foliage alone. Full sun to part shade in a warm position. Regular summer water rapidly increases the growth rate. Otherwise once established requires only light summer irrigation. 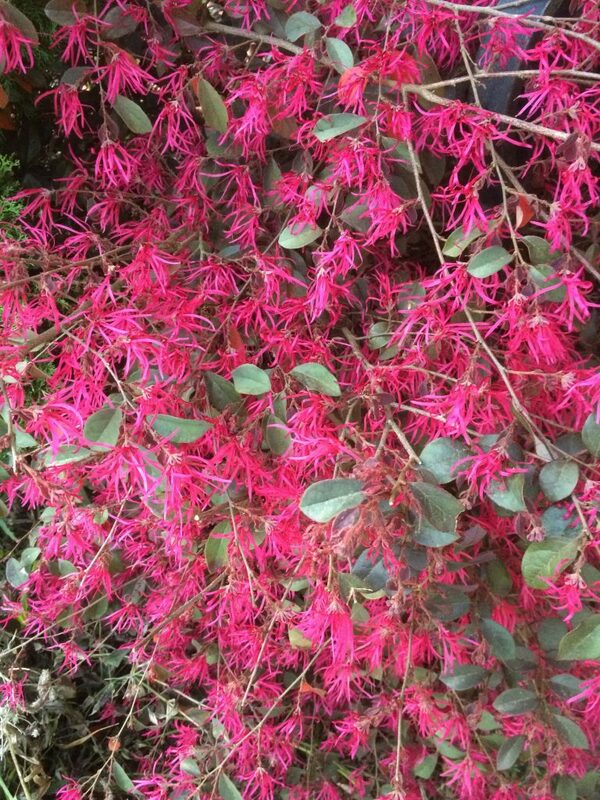 One of the most popular landscape shrubs in the world if you include China where it is native and has been grown ornamentally for eons. Prune AFTER flowering if needed.